In Australia we have experienced devastating extreme weather events which have changed what we consider ‘normal’ weather patterns. We are no longer comfortable, we wonder how we will adapt to rising sea levels and we question the permanence of our built environment. As our uncertainty grows, we move closer to the age of unsettlement. If you had to be on the move, what would you take with you? trans-form-it is a response to challenges of urbanisation which affect us today such as reduced living spaces and increased mobility, and it encourages a dialogue which questions our current expectations of furniture as functionally and aesthetically determinate. Overall I wanted the collection to communicate the need for our material culture to be directed towards sustainable futures. It is one of high design, low technology, minimal (and local) resource use and localised production. Each furniture piece or set is completely contained within its own structure for protection during transport and storage, and is assembled and disassembled without the use of tools. As the piece itself acts as a storage vessel there is no wastage or storage of packaging materials needed. The materials have been carefully considered. This Australian version complements Queensland’s (north-east Australian) sub-tropical architecture, and is made from sustainably grown Queensland plantation hoop pine and hoop pine plywood. 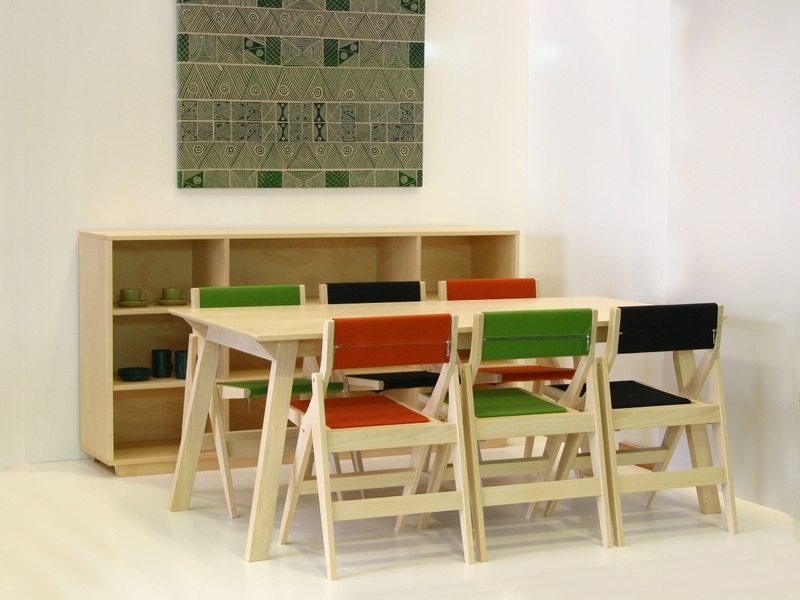 The surface finish is a waterbased stain, and the removable upholstery is in 100% Eco Wool. The intent of trans-form-it is for it to be manufactured locally using local materials, where-ever that may be! This way ensures the lowest possible embedded energy in the materials and more importantly promotes cultural relevance and local economies. 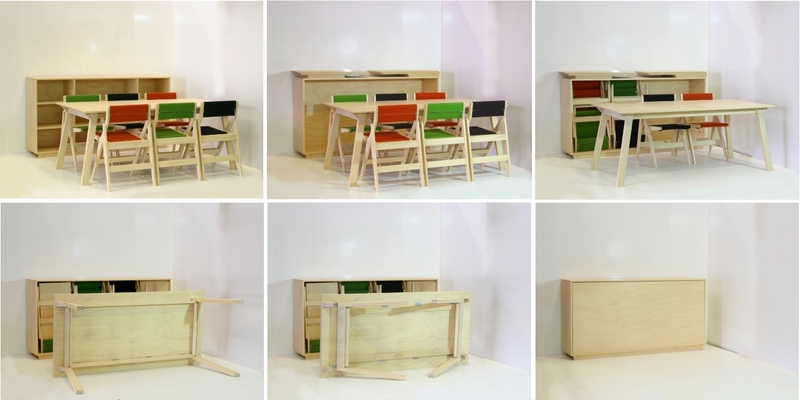 Each piece can be readily disassembled for recycling of the timber and plywood, and the small hinges and components can be re-used. 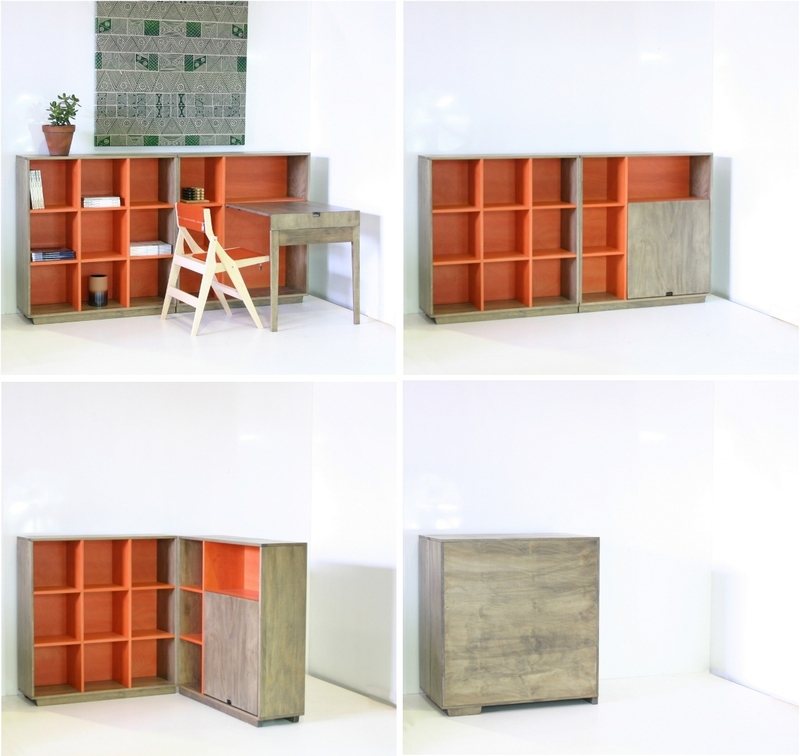 The trans-form-it collection includes re-packable furniture for study, living and dining rooms. While trans-form-it is an imagining of a future with a sustainable material culture, it also shows that, in the mean time, we do not need to forgo comfort, aesthetics or functionality in considering sustainable long term consumer purchases. 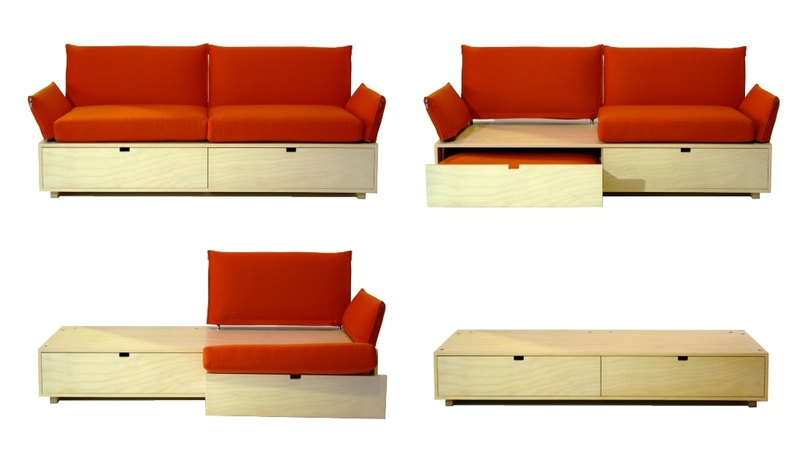 I embarked on the development of this new furniture concept as the first step in the project of platforming for Deka. Platforming is a strategy of redirective practice concerned with developing a new direction for the company whilst maintaining the current business structures. 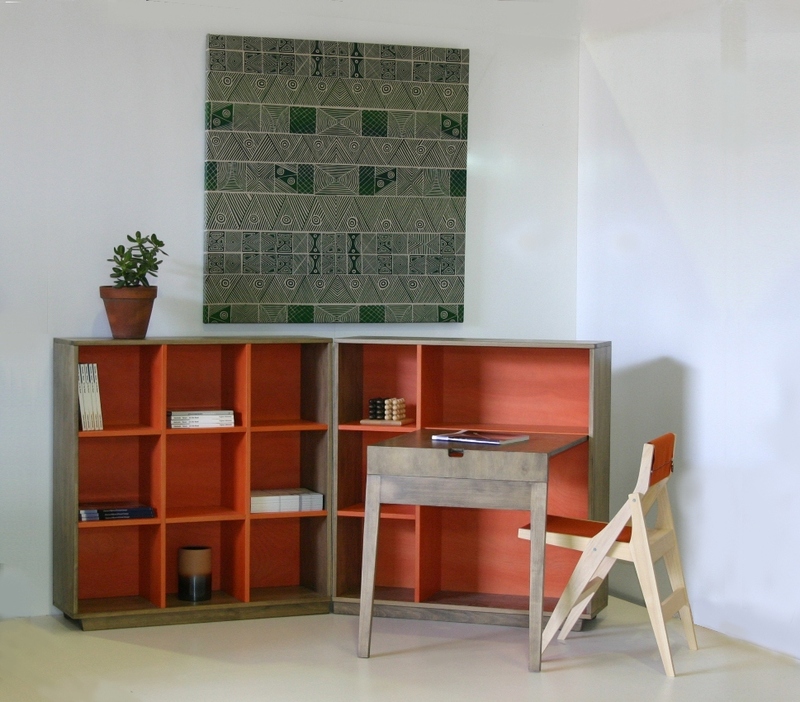 In this case I wanted to introduce a new furniture concept which effectively communicated the need for designing more sustainable ways of living. It was to be a concept incorporating local materials and local manufacture and it was to appeal primarily to a mobile demographic. From a business perspective, the development of this platform allowed Deka to maintain its high quality residential and commercial furniture production whilst branching off into a more conceptual trial of a new design direction. The trans-form-it collection was designed from prototype to production in collaboration with Lasse and Helena at Deka Design.